Butter Paneer at Cowboys & Indians Tex-In Kitchen. Photo by Beth Levine. Under the Radar is a new series that brings attention to restaurants and bars that food media hasn’t covered much. That includes up-and-coming restaurants, hidden neighborhood gems or old-school spots that deserve a fresh look. 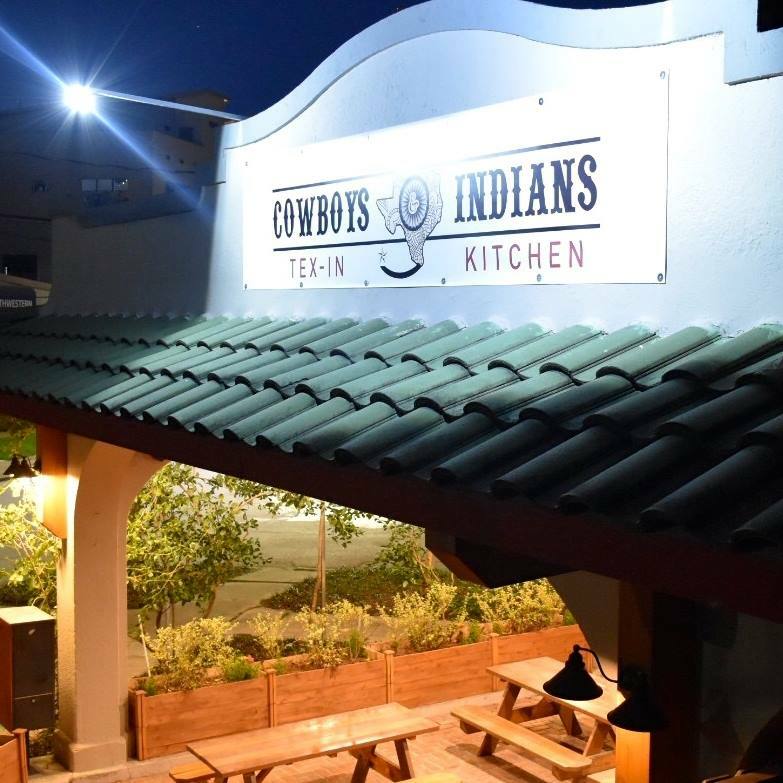 Nestled on a nondescript corner of Taft and Webster is local neighborhood joint Cowboys & Indians Tex-In Kitchen. As you might suspect from the name, this “barstaurant” is as kitschy as the name suggests. What it also is though, is a very good place for Indian food. It was opened in late 2016 by brothers Imran and Haas, who put a lighthearted spin on the place. (The “Tex-In/Texan” pun in the name is just one example.) What they do take seriously is creating quality food using family recipes. After getting input from their neighbors and customers during their initial build-out, the idea was to provide a casual atmosphere for serving Indian food classics like butter chicken masala, lamb vindaloo, and samosas. Those are mixed with a few good ol’ cowboy favorites like chicken fried steak and hamburgers. The menu also features 12 curries to choose from, with vegan, vegetarian, gluten-free and meaty options. Prices range from $11 to $20 dollars each. 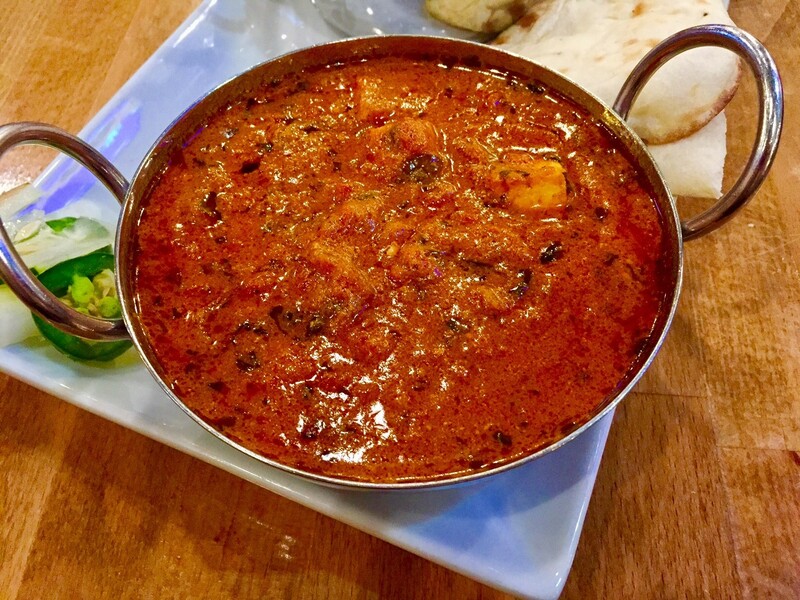 Standouts include the butter paneer and the beef coconut curry, a family recipe from their father’s side of the family passed from generation to generation. Served simmering in a metal bowl, it’s made with coconut milk flavored with a housemade masala of toasted coconut, cashews, almonds and spices. Cowboys & Indians Tex-In Kitchen at Taft and Webster in midtown Houston. Photo courtesy of Cowboys & Indians Tex-In Kitchen. The butter paneer is also served in a metal bowl and made with a creamy red vegan curry, featuring a spice level that should be pleasing to most, and sauteed paneer cheese. Curries are served with a side of basmati rice and homemade naan bread. Raita (a cooling, yogurt-based condiment) and onions are served upon request. If you’re looking for something from the ample selection of fusion “small bites,” the naan 65 quesadillas are a surefire hit. While listed as a small bite, this dish can easily be shared or eaten as a main course. It’s an Indian twist on a quesadilla with melted cheese and housemade chutney sauce served on toasted naan. Adorned with fresh jalapenos and onions for a little kick, this hearty dish costs $10.99. 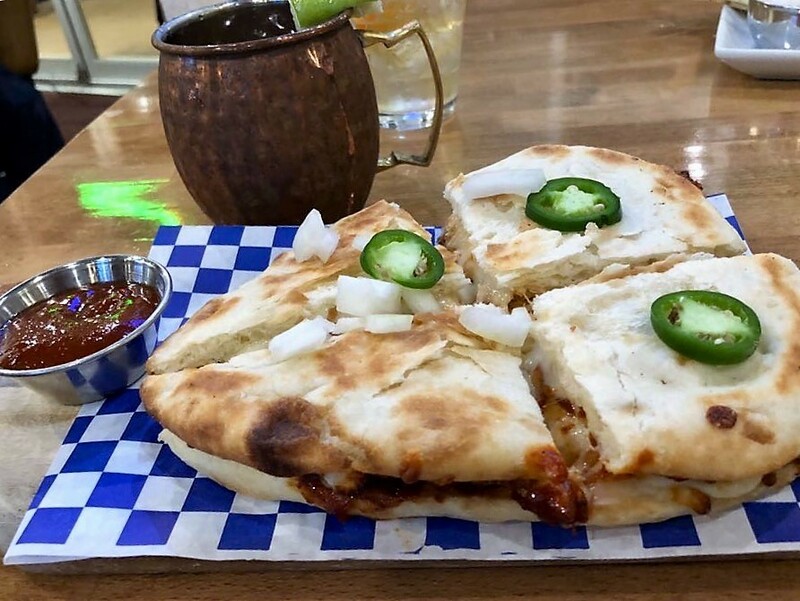 Naan Quesadilla at Cowboys & Indians Tex-In Kitchen. Photo by Beth Levine. There’s a family influence even on the cocktail list with the Bloody Mehreen, a take on the bloody Mary named after sister Mehreen. On the subject of cocktails: while it might not be on the menu, whiskey lovers should ask about the interesting selection. Rounding out the rest of the menu are southern comfort fare items like chicken fried chicken and a “bun” selection offering classic and fusion burgers such as the Himalayan heat burger. There are also additional vegetarian options. So, if you’re looking for some surprisingly good Indian food at a local neighborhood joint, give Cowboys & Indians Tex-In Kitchen a try. It is located at 1901 Taft open Sundays through Thursdays from 11 a.m. to 9 p.m. and Fridays and Saturdays from 11 a.m. to 11 p.m. Thanks! I’ve driven by there several times but haven’t yet stopped in. I will after reading this. Their menu and the prices both look great. Let us know how the meal and experience is!